You know I am all about the cake and sweet treats. In fact I hopefully have another ebook coming out in April dedicated to sweet treat snacks that are all sugar-free and DIVINE! Things like sticky toffee muffins, after eight chocolate slices and much more. So I am going to even out the balance and share with you some delightful dinner options that are going to help you heal and THRIVE! Great source of b12 – this is essential for energy and healing and there is not plant based source of this. Selenium – essential for happy thyroid function, skin and way more! Zinc – needed for happy and strong immune system and strong nail etc. And if you want some bespoke healing advice that helps you to listen to YOUR unique body then this week is the LAST WEEK of my one2one coaching sale then click here to book your FREE 30 minute consultation to see if I am the right fit for you ! *ethical reasons aside, not eating meat can also be a moral and ethical issues but I am talking about this from a purely physical nutritional point of view – I 100% understand why people become vegan or vegetarian – I tried it myself for a while but it complicated and increased my digestive issues. 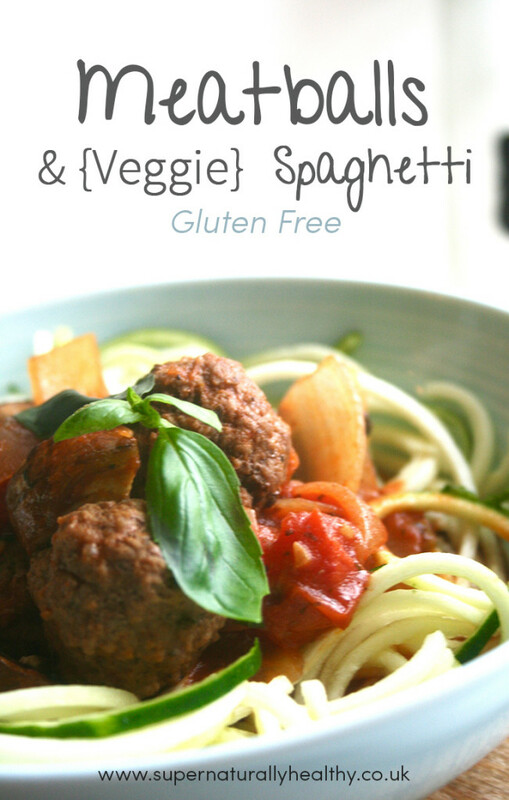 A speedy gluten free meatball recipe! In a pan with some fat (tsp of coconut oil, ghee or animal fat) add the chopped onions and salt and salute on medium to low heat for 5 mins. Meanwhile place the mince in a bowl and add 1tsp of oregano and seasoning to the mince and blended and 'Moosh' with your hands. Then grab tbsp amounts and roll into small balls. Add the meat balls one but one to the onions and brown quickly all over the balls so they are no longer pink ( they won't be cooked thoroughly at tis point though). Then once meat ball are done add the rest of the ingredients to the pan and bring to boil and then leave to simmer with lid off for 20 mins. After 20 mins taste the space and add more seasoning as required and serve with veggie spaghetti and top with cheese or fresh basil if desired. 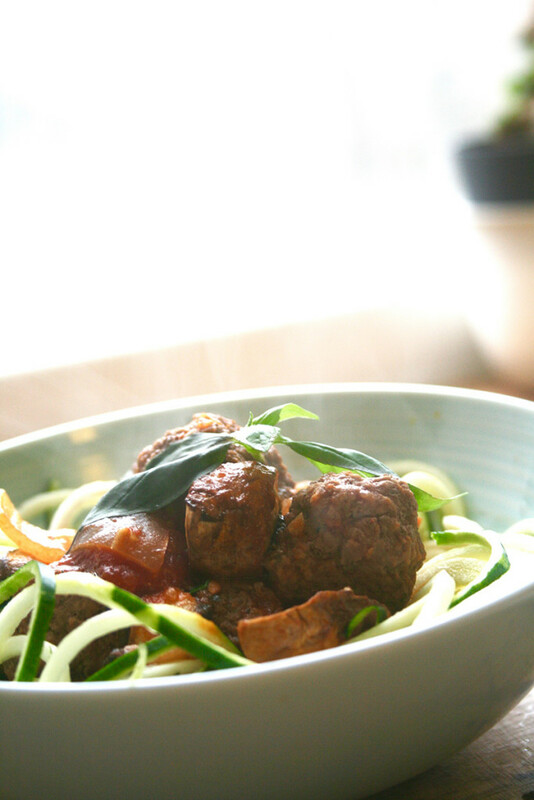 Feel free to use pork or lamb mince in these meat balls. How do you feel about red meat? What’s your favourite dinner time recipe?